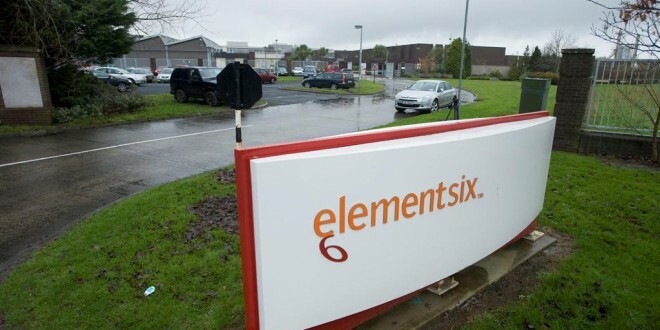 Industrial action has been postponed for the second time at Element Six in Shannon. ELEMENT Six is to expand its operations at Shannon over the next 18 months. At the moment it is unclear how many if any new jobs will be created, but at the very least it secures the future of the local operation. In a statement issued to The Clare Champion on Wednesday afternoon, the company outlined the position. “Element Six can confirm that following a strategic review of the company’s global production operation the company has decided that, in order to best meet future customer requirements, and to improve company-wide operational efficiencies, the existing Shannon production activities will be expanded over the coming 18 months. The news follows the company’s recent announcement of the closure of a plant at Robertsfors in the south of Sweden. The plant will wind down over the course of the next two years and will see the loss of 175 jobs. Reports in the Swedish press indicated that a more efficient manufacturing process could be achieved by moving production from Robertsfors to Shannon and plants in South Africa. Last year Element Six celebrated 50 years in Shannon and it employs over 300 people. In 2009 it announced that it would be letting 370 people go, but ultimately only around 200 people were made redundant. The company was also involved in a dispute over pensions which went to the Commercial Court earlier this year. The Court ruled that the trustees of the pension scheme had acted reasonably in moving to accept an offer to wind up rhe tund on the basis of of a contribution of €37.1 million from the company.